A couple of years ago, we were able to taste a really good wine from a new winery in Lawrenceburg, Kentucky. We kept promising ourselves that we would visit the winery and kept that promise this summer. 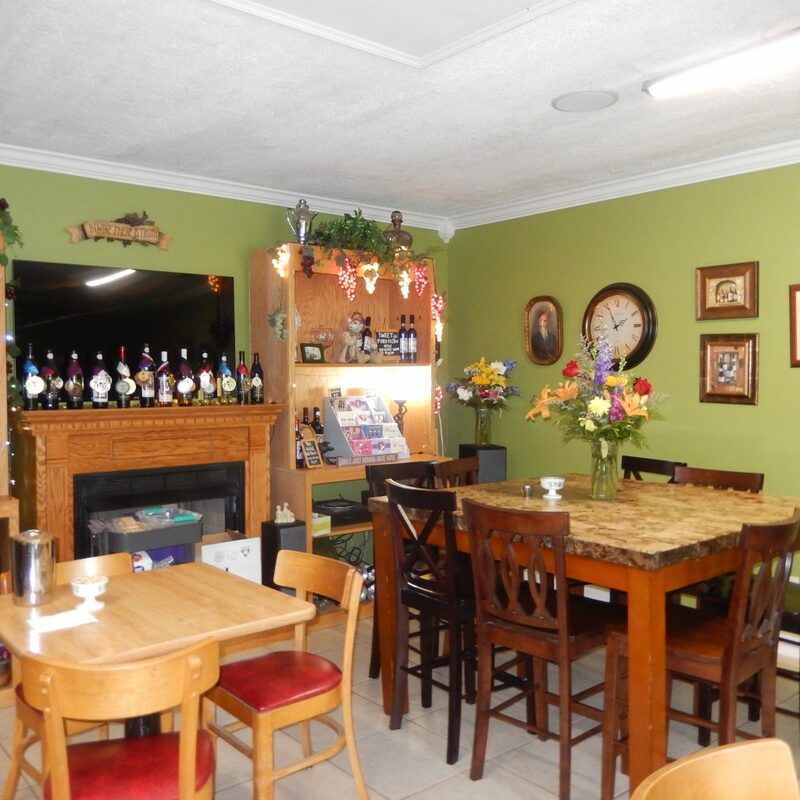 Rising Sons Farm Winery is a charming farm winery, owned and operated by Francine and Joe Sloan. Rising Sons has a cozy tasting room and many good wines, some that are not the varietals you might expect. 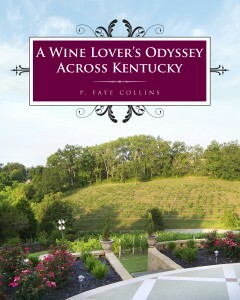 They do offer wines made from Norton, Chambourcin, and Vidal Blanc, those standard Kentucky grapes. But you’ll also find a Vignoles, a Baco Noir, and a St. Vincent. The St. Vincent is not very well known. Though it is often grown in Missouri, even there it is described as an orphan grape, with a mystery of its parentage and growth. It is agreed that it is a French-American hybrid, but that’s where the agreement seems to end. Francine referred to it as a problem child in the vineyard. But Rising Sons uses it to make a very interesting wine, with an interesting name and label – Crazy Llama Red, with a Barnyard Collection label. Other labels feature their Italian heritage, such as Cataldo’s Salute, an aged Norton, Maria’s Dolce Rosato, and Bellissimo Bianco, a Cayuga. Visitors there to taste wine also get to taste a yummy Norton wine jelly. You might want to visit their website (check my links) and blog. I found the recipes on the blog especially interesting. If you find yourself near Lawrenceburg, you’ll want to stop at this appealing winery. The farm, therapy, exercises, and catching up with things that had been neglected since my accident has kept us busy this summer, but we were able to get out and visit a few wineries. Now its time to get caught up with writing and organizing some photos. Hard to believe that fall is just a few weeks away; time has certainly flown by. Let’s look at some news that Kentucky wine lovers might be interested in learning. The Kentucky Wineries Association will be hosting its 5th Annual Wine Fest on September 9 and 10, 4 to 10, on the 9th and Noon to 10, on the 10th. The fest will be at the Bullitt County Fairgrounds. For just $25, visitors will get a wine glass and 12 tastes. Look for information at http://bestkywineries.com Look for the wineries that are on the Best Kentucky Wineries Wine Trail to be there pouring their wines. Denise and I are still “cooking with wine” and have made some decisions that we think readers will be interested in. Our planned title is Vineyard to Table – Cooking with Kentucky Wines. As more news is available, we’ll let you know. Hope your summer has been a good one and that you have been enjoying some Kentucky wine.